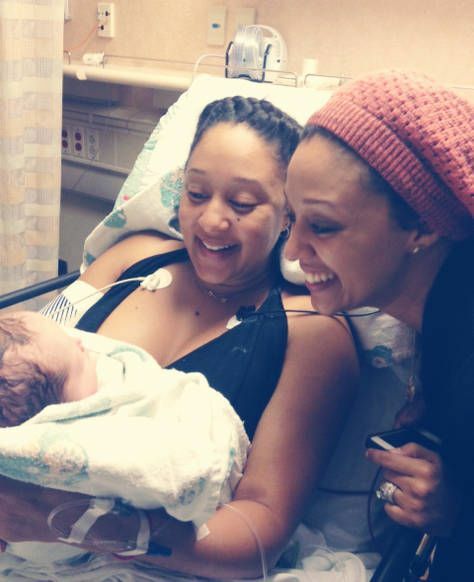 SISTERLY LOVE: Tia Mowry Hardrict Pens Motherhood Letter To Twin Sis Tamera + More Pics of Baby Aden! How cute! Tamera Mowry Housley has been a new mom for a couple of months now, and she's overjoyed with how sweet her baby boy is growing up. She posted a new pic (below) of Aden today on her Instagram, while Tia took to the twins' new website to pen her sister a sweet letter saying she was inspired by Tamera's letter to her son. Both of the sisters starred in their fair share of TV movies last year. This year, Tia has the Baggage Claim movie in the works, and is shooting a TV movie called Instant Mom. NEXT: SHOTS FIRED: Azealia Banks Scraps With Rapper Angel Haze On Twitter, Gets Called A "Charcoal Skinned B*tch"
Tamera’s Cute Little Lovebug looks very happy, and I'll bet that he's treasured by his family! oh shut up. corny asses. Adorable son, he looks more african american in this pic. Tia and Tamera are such great role models. If you look at pictures of Cree when he was first born he looks more like Aden. I think Cree is also cute. There is a baby picture of the twins with their parents and Cree looks like Tia, head and all. He will grow into it. I'll never understand why celebrities why each other letters ONLINE. Like Tia to Tamera, Beyoncé to Obama, Beyoncé to Michelle, Beyoncé to...well, basically everyone lmao Don't y'all have those people phone numbers? Email addresses? Home addresses? Freaking facebook contact? Write them PRIVATELY. Making it public takes away 99% of its genuinity. I love Tia and Tamera but sometimes they can be so corny to me. 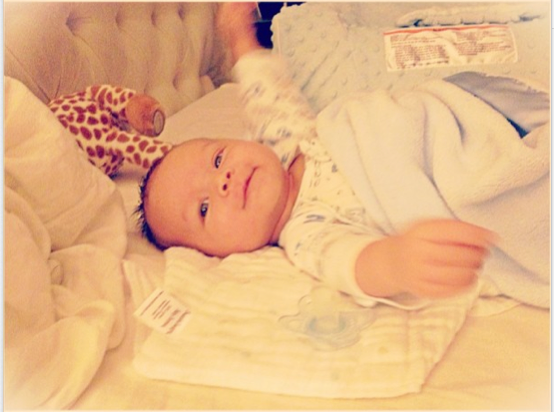 Tamera's baby is cute though! Handsome boy! Congrats to the new parents and auntie! 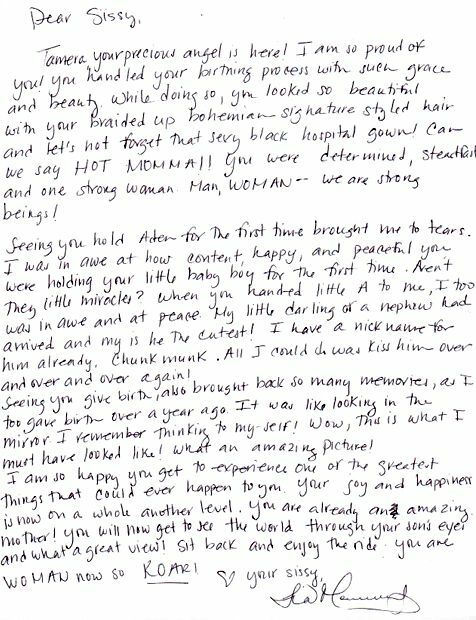 Tia's penmanship is AWFUL, but the letter was sweet! Aden's gonna be a lil heartbreaker, while his Cree is goin to be....his OLDER COUSIN!